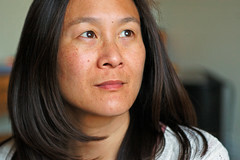 I received word this afternoon that I had won Puna's Window Challenge Giveaway, a free canvas from Hello Canvas. I am totally excited, because I know first hand that Hello Canvas has a great product. I ordered a big 16"x20" canvas back in late June, and had every intention of blogging about it. Well, vacation happened and more vacation (including that trip to Italy, and I still haven't dug myself out of that pile of photos yet), then school started back up and well, here we are, in the middle of October. 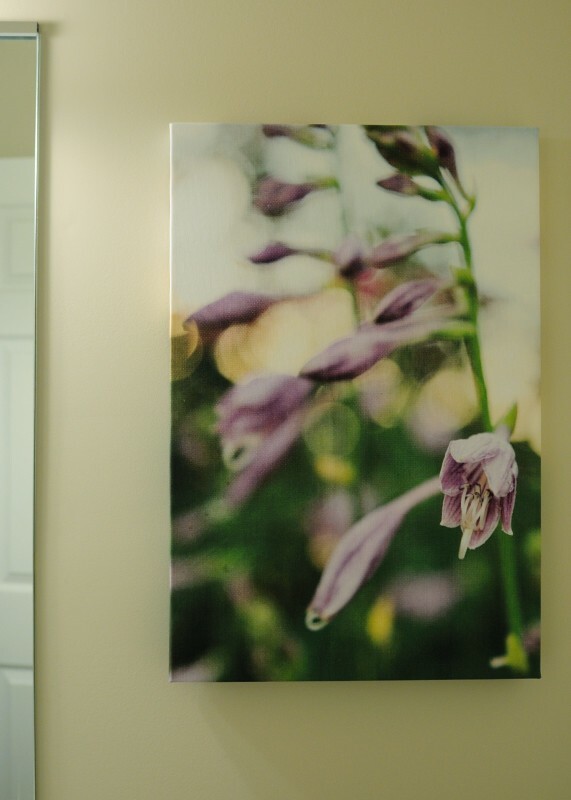 So I finally took a picture of that 16x20 canvas, hung in the bathroom powder room(I know, a little trite, but it looked best in there). Sorry about the lack of a additional detail - limited space in that bathroom powder room. Plus, you really don't need to see the toilet. What a gorgeous piece! I have the one I won in the kids' bathroom, I think it's a great place for it! Beautiful shot. I can't wait to see what you choose for this one! Congratulations!